The Bachelor programme in Psychology (B.Sc.) focuses on a holistic appraisal of human perception, experience and behaviour, and combines the conveyance of a broad basic knowledge of psychology with the practice of clinical psychology and psychotherapy. The Bachelor programme stands out for modern formats of teaching, learning and examination as well as the consistent integration of theory and practice. One example is problem-oriented learning (POL), a teaching and learning format based on specific cases: students in small groups address patient cases, develop theoretical and application-oriented learning objectives and work on them in independent studies, using curricular content from lectures and seminars as well as literature sources. 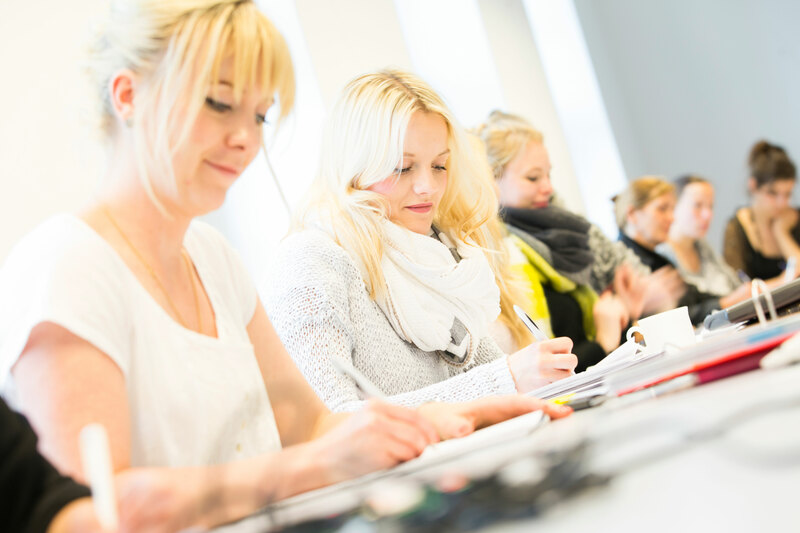 A feature of the MHB Bachelor programme in psychology which is unique in Germany is its close proximity to clinical practice. The integrated Clinic Day brings our students into direct patient contact on site where they gain insights into the day-to-day interaction of psychologists, physicians and nursing professionals. Subsequent so called “TRIK” seminars (TRIK stands for teamwork, reflection, interaction, communication) offer space for exchange on the experience and for practising and reflecting ethically responsible interventions. An increasingly complex world requires future specialists with competences to think, evaluate and act beyond disciplinary boundaries. Studium fundamentale courses offer numerous possibilities to explore issues of philosophy, history, culture etc. and learn to think outside the box. In the course of their studies students acquire a solid and broad basis of knowledge in neurobiological, cognitive, emotional, social and differentiated approaches of psychology as well as in psychological diagnostics and scientific methodology. They are taught to analyse and asses research findings in the field and develop a sound understanding of research questions. Moreover, they learn to set up, implement, evaluate and present their own research projects. The programme targets students with a particular interest in the theory, practice and research of the clinical part of psychology. The Bachelor programme in Psychology (B.Sc.) is designed to convey scientific key qualifications as well as practical psychological competences and to combine aspects of research and application. Considerable emphasis is placed on the integration of personal, interpersonal, clinical-practical and scientific research competences. A successfully completed Bachelor programme in Psychology (B.Sc.) guarantees admission to the Master programme in Clinical Psychology and Psychotherapy (M.Sc.). Profile-building core elements of the programme are interdisciplinarity (e.g. close cooperation with medicine, neurosciences, social sciences and humanities and the Studium fundamentale as an integral element of curricula), internationality (a wide international network specifically in psychotherapy, research collaborations and internships at home and abroad) and personality (multi-perspective approach in personal and psychodynamic psychology).